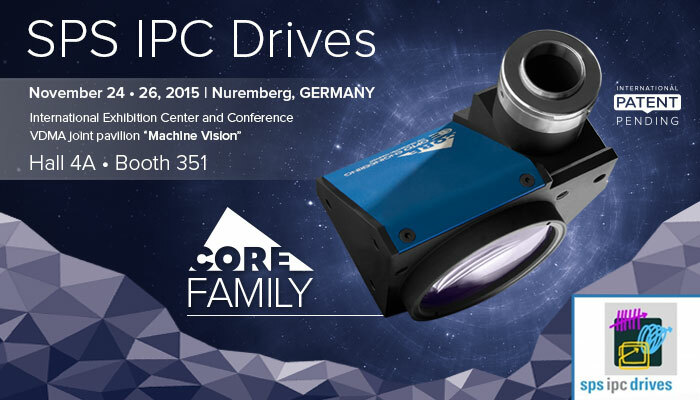 In just a couple of days, the SPS IPC Drives begins in Nürnberg. OPTO Engineering is proud to invite you to our presentation of a very special innovative product on display at the trade fair for the first time. Besides our established products, like the TC Series and our 360° optics, we will introduce our brand new CORE series as the highlight of the year.What is so special and unique about the CORE series? CORE lenses combine the outstanding performance of telecentric optics with the compactness of standard lenses. Due to the reduction in size of up to 70%, CORE lenses will allow integrators to use telecentric optics in spaces once deemed impossible. For other applications, designers will be able to easily reduce the size of their systems.These results can be achieved without any compromises in the optical performance. Use our unique, patent pending CORE design to take the next step into the future of high accurate vision systems. Reduce space and costs while generating value for your business as well as for your customers. We’d like to take this opportunity to present the CORE series and many other new products at an exclusive customer event on Wednesday, 25.11.2015, from 10.00 to 11.45 at the Convention Center Ost. The number of guests is limited so please contact Mrs. Hedrich via email [email protected] to participate at this event.Following the presentation, we would like to invite you to a Bavarian lunch with “Weißwurst”. Our sales team is looking forward to answering your questions and to discussing your ideas and visions. If you will be visiting the fair on a different day, you might be interested in our presentation titled “The New Era of Telecentric Lenses”. Our sales representative Mr. Jan Nieswandt will present it on November 24th, 2015 from 11:40 – 12:00 at the “VDMA Messeforum” in Hall 3, Booth No. 3-668. Last but not least, come and visit us at our booth in the VDMA Pavilion in Hall 4a, Booth No. 351. We will show you our innovative new products, including the CORE series. You will receive valuable information and new ideas for your applications.